Dilly Beans Small Batch is just that, a small batch of one of my favorite things, fresh green beans. I could eat fresh, straight from the farm stand, (rinsed, of course) green beans all day long. Dilly beans, for me anyway, well they’re just plain good. The answer is no, it’s not a waste of time. 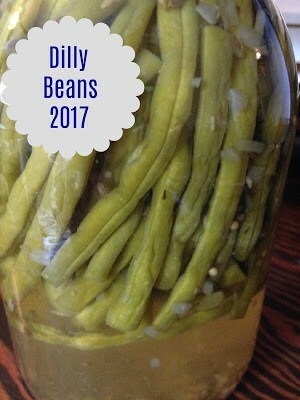 I have never made dilly beans before so this was an experiment of sorts and if they didn’t turn out, oh well, so swell. Today when I stopped at my favorite farm stand, they were selling 2 1/2 pound bags of green beans for .75 cents. Well, that sealed the deal for me, time to give dilly beans a try. If for some reason the dilly beans didn’t turn out, I wouldn’t be out much but if they did turn out, yippee! I’ll be heading back down the highway to my favorite farm stand tomorrow to get me some more green beans. 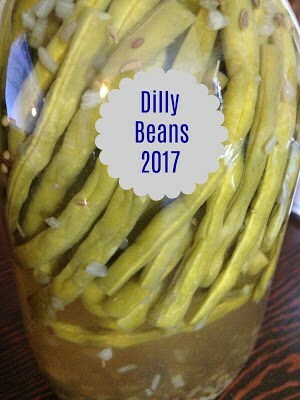 Then I can ‘can’ a huge batch of dilly beans! I proceeded to got in search for my canning supplies. Often times, if I have never made a dish before or in this case, canned something before, I like to start out with a small batch. Not only does it save me time and money in the long run but it lets me smooth out any of the wrinkles. If there are any problems that might have occurred, I’m able to adjust the recipe if needed. This doesn’t work with all recipes but it does work with the majority. Bring the apple cider vinegar, water, salt and sugar to a boil in a saucepan. Boil gently for 5 minutes. Meanwhile, mix together dill seed, black peppercorns, mustard seeds, red pepper flakes, and coriander seeds. Divide mixture between two glass canning jars. Place 1 clove of garlic into each jar. Tightly pack the green beans into the jars with the spices and garlic. Pour the vinegar mixture over the green beans in the jars to within 1/4 inch of the tops of the jars. Wipe the rims, fix new two-piece lids in place to finger-tip tightness and process in boiling water bath for 15 minutes. Carefully transfer to a rack to allow to cool completely. Carefully remove the rings, wipe down, label, and store in a cool, dark place for up to a year. If there are any jars that don't seal, refrigerate immediately after processing. 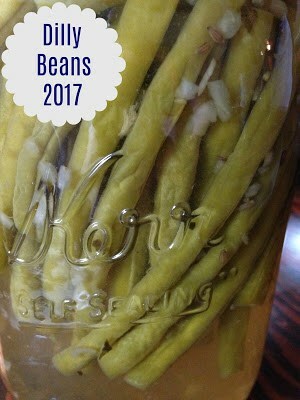 Let the pickled beans sit in the refrigerator for 2 to 3 weeks, before opening and eating.